Espejo, P. O. Book review of Democratic Legitimacy: Impartiality, Reflexivity, Proximity (Princeton University Press, 2011), by Pierre Rosanvallon, trans. A. Goldhammer. 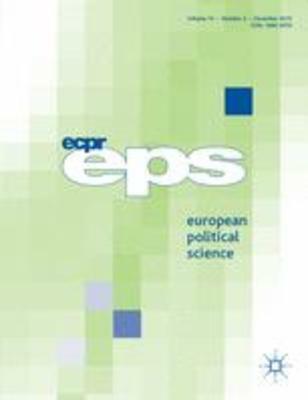 European Political Science, 12 (2013), pp. 399-401.